It wasn’t so long ago that beer festivals were fairly few and far between in Australia. Now, even in the depths of Winter, you’d be unlucky to go a week or two without being able to hunt down a major beer event somewhere across the country. And, as the number has grown, so has the variety – gone are the days where all you might expect to find was a handful of brewers' tents and a sausage sizzle (not that there's inherently anything wrong with that). Now you can find anything from week-long extravaganzas attracting international guests to events that thrive by shining a light solely on small, regional producers, from city wide walking tours to hop-on, hop-off brewery adventures, from hop harvest celebrations to competitions unearthing Australia’s next home brewing champions. Add in those dedicated to music, food, art and anything else involving fun and there's a good chance there'll be good beer involved somewhere. It's a healthy state of affairs for anyone wanting to explore the diversity of the local (and international) beer world. And, to make exploration easier, we've gathered the country's major festivals and beer weeks in one place. NB: The festivals listed here are generally large or multi-day events. For hundreds of smaller events, see The Crafty Pint’s Events Diary for Australia’s most comprehensive calendar of craft beer events. If there’s a festival or event you think is missing – or if you’re planning one – let us know. NB II: To be in with a chance of winning free tickets, VIP packs, beer, merch & more at some of the country’s leading beer festivals, why not join the Crafty Cabal and become a supporter of The Crafty Pint? Apex Park, on the banks of the Ovens River in Wangaratta, plays host to a festival showcasing the best of local produce and entertainment. 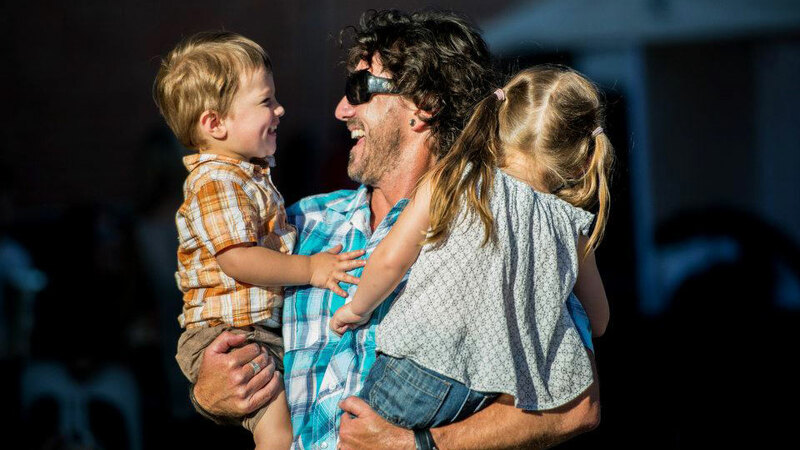 While it features dozens of local brewers, wineries, cider makers and distillers, it's very much a family-focused event with loads of kids games and activities throughout the day – the only things to bring for a good day out is a picnic blanket, sunscreen and bug spray. In 2017, the South West Craft Beer Festival returns for the sixth time, featuring more than 20 breweries from the region serving up their beers and ciders on tap at Old Broadwater Farm. There will also be an extensive collection of local restaurants, local wines and three live music zones showcasing the region’s up and coming artists. Held at the Geelong Racecourse, the GABF mixes the familiar elements of an outdoor beer festival – beer, food and cider stalls, homebrew comp, live music, educational sessions – then adds more esoteric flourishes. By more, you can expect to find wandering cabaret acts, a comedy tent and brewers competing in keg rolling competitions on the racecourse itself. 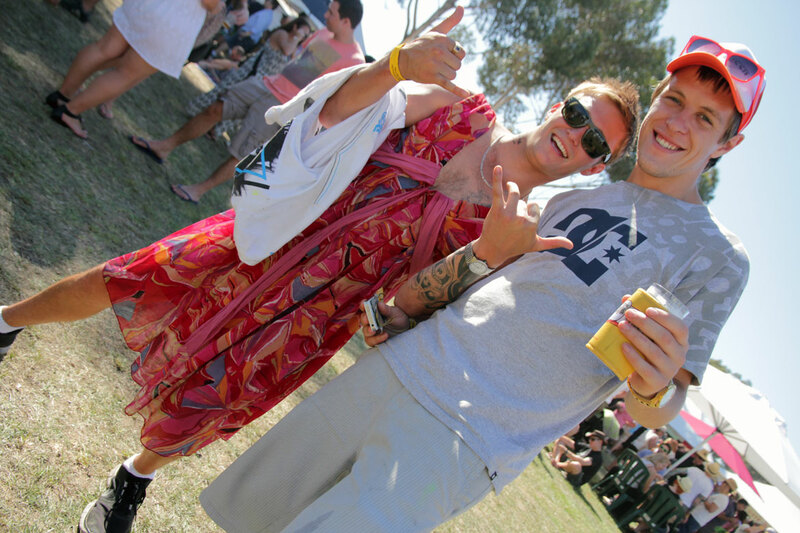 Having debuted at Flagstaff Gardens, the BeerFest crew have moved their show to Catani Gardens in St Kilda. Expect more than 60 stalls showcasing a Victorian-heavy lineup of brewers, a smattering of cider, plenty of Melbourne food stalls, music, comedy, beer masterclasses and entertainment over two days. CRAFTY CABAL OFFER: Look out for a huge ticket giveaway for Cabalistas nearer the time. Brisbane’s biggest beer love-in has fast become a favourite on the calendar, with an increasingly diverse and frequently madcap range of events put on by city’s close knit but continually expanding craft beer community. It now runs for a little over a week and, in 2016, included more than 120 events at more than 60 venues of all shapes and sizes. Pint of Origin may appear there in 2017 too. 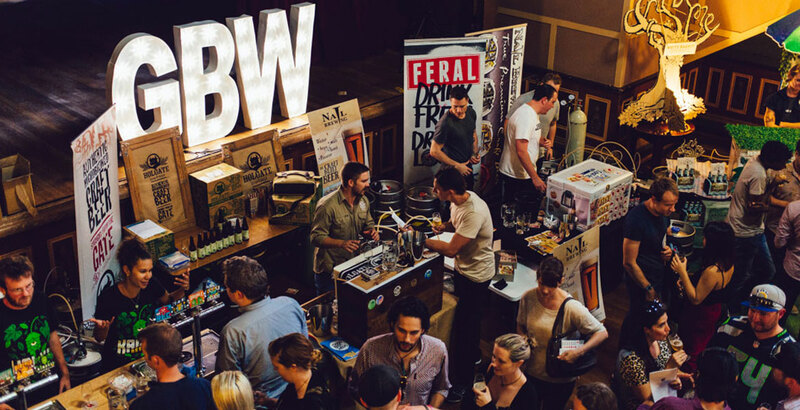 To celebrate its program launch, the Good Beer Week team takes over an iconic Melbourne venue for multiple tasting sessions featuring brewers from across Australia. There are masterclasses held by festival founders (including The Crafty Pint) and brewers while, with 20 tasting tokens and a food voucher included in the ticket price, it's one of the best value events in the country – and you get to be one of the first people to get their hands on the prized festival program. To celebrate the local hop harvest, brewers in the Victorian High Country – including Black Dog, Bridge Road, Bright Brewery, Sweetwater and Rutherglen – join together with Hop Products Australia for a celebration of all things local and hoppy. The festival was conceived by the ever forward thinking Ben Kraus of Bridge Road and takes place around his Beechworth brewery. Expect harvest beers made with fresh hops from the nearby Rostrevor Hop Farm, which opens its doors for tours on the day, alongside local food, music, children’s entertainment and maybe a spot of archery. A transport and accommodation package from Melbourne is usually available. Building on the success of the first festival held in Orange, 2017 sees Crafted LIVE head to Wollongong for the first time. The event is built around the pillars of beer and barbecue, with plenty of both on offer. The beer is provided by a number of local brewers as some of Australia's top competitive BBQ teams grill, smoke, slow cook and fight it out to put the best meat in your mouth. Expect a heap of live music and masterclasses from both brewers and barbecuers. A massive celebration of the local hop harvest sees the Tasmanian brewing community come together in Launceston to showcase beers where hops have been added to the kettle less than 48 hours after being picked. Expect fresh hop beers from more than 15 local brewers, as well as hop education, masterclasses, meet the brewer sessions, Q&As, heaps of live music and plenty of local food stalls. For two days each September, Brisbane’s Albion Park Raceway transforms into The Beer InCider Experience. In 2016, it features around 30 local brewers and cider producers pouring upwards of 150 different drinks for you to try. But it’s much more than beer here, with a big focus on artisan food and a comprehensive alternative music lineup generally featuring a big name local headline act. 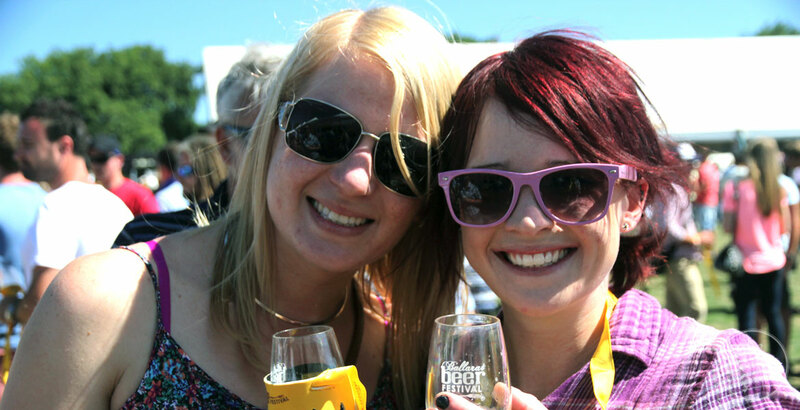 The Tasmanian Microbrew Festival is an annual, student run event held in the heart of Hobart. The festival showcases Tasmania’s top craft beer and cider producers. There are food vendors on board too plus Tasmanian-born chef Jahan Patterson-Were from Mahasti Tapas + Pintxos showcasing his culinary masterwork and orchestrating a food and beer matching experience. A festival that kicked off for the first time in 2015 sees more than 20 brewers and cider producers gather on the waterfront in Port Macquarie. It's a kid-friendly affair, with live music and other entertainment as well as, in 2016, a VIP pop-up marquee hosted by local restaurant The Stunned Mullet. 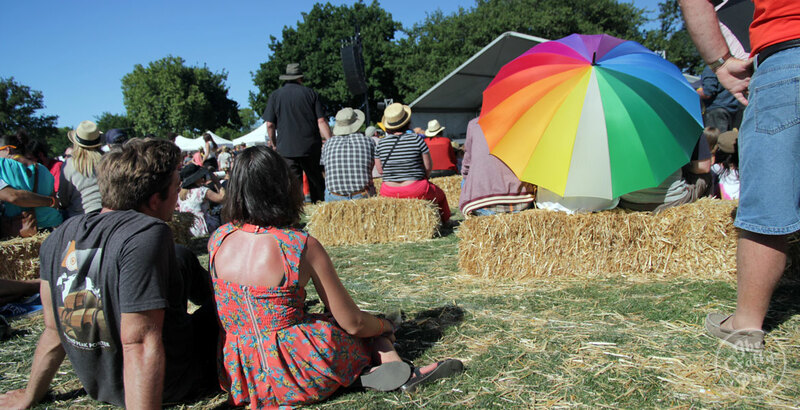 At the onset of Spring, the heart of one of Victoria’s top wine regions beats to the rhythm of beer as the Great Southern Beer & Cider Festival takes over the Yarra Glen Racecourse. Nearly 20 Victorian brewers and cider producers line up alongside street food style vendors and loads of local musicians. This one’s a fest with a family friendly vibe. Who would have thought the Gold Coast would have a craft beer week? In 2015, Free The Hops became just that and it's looking to expand in 2016. At time of writing, the details of many events were still being locked in but look out for parties, degustations, lunches, meet the brewers and more. You can also check out our two-part guide to what's happening on the Gold Coast these days: part one and part two. ANHC is Australia's leading event for homebrewers and regularly attracts some seriously high profile guests from all over the world. For its Adelaide debut, it's a three-day event filled with practical sessions, discussion panels, beer tastings and networking where attendees can meet like-minded beer geeks, homebrewers and beer lovers. Guest speakers in 2016 include Mitch Steele of Stone Brewing, Bert van Hecke, Chris White of White Labs and Red Proudfoot of Pirate Life. One of the country’s longest-running beer festivals takes place at the iconic Australian Hotel in The Rocks. Over the course of a weekend, around 30 local brewers set up stalls in the historic streets outside the pub and pour whatever it take to sate the thirsty hoards. Free entry, a location near the heart of Sydney’s tourist area, pub food and pizzas, blind tastings (pictured above), live music, street games and a simple format means it’s one of the most casual and least demanding festivals going. Sydney’s biggest collection of beer events returns for a sixth time in October at breweries and venues across the city. 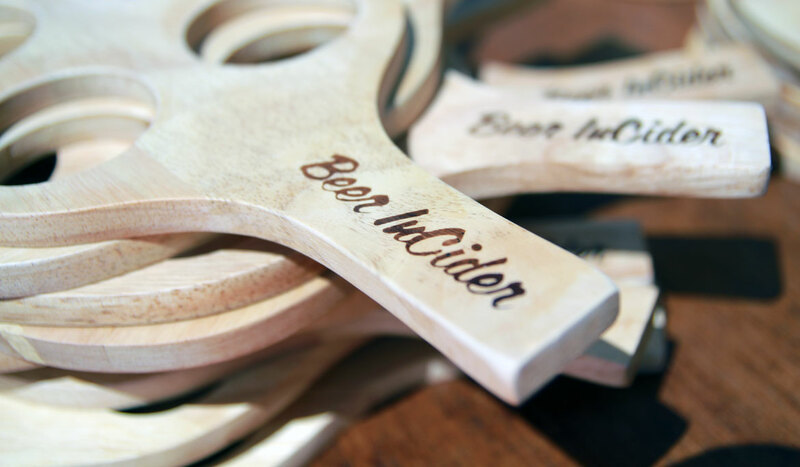 You can partake in everything from tap takeovers to degustations to beer golf and axe throwing. As of 2016, The Crafty Pint is getting involved too, bringing Pint of Origin: Schooner Edition to the party at six great venues, each of them representing a different Aussie state for the week. Look out for PoO buses and specials too. There are plenty of local homages to Munich’s huge annual beer celebration, many of which you’ll find filling up the Crafty Pint's events calendar from around August. Some of the most popular are those that have been doing it for a decade or more, such as Beechworth’s Bridge Road Brewers (think Marzen, traditional food, well-costumed folk and bier steins) and Oktoberfest at Otway where you can join ten brewers from the region for masterclasses, yodelling, slap dancing, strongest man / woman competitions and a home brew comp. A beer festival with something of a food first approach, the Brewers Feast is set in the gorgeous grounds of the Abbotsford Convent where, over a night and the following day, around a dozen Victorian brewers pour their wares (both regulars and rarities). Friday night entry includes a tasting plate with suggested food pairings. The food on hand follows the local and sustainable path while both days feature masterclasses and a musical lineup both lengthy and eclectic and Cavalier is running a VIP Beer Garden. Beer Day Out is a one day festival that takes place on the opening weekend of Canberra Beer Week and in 2016 will showcase 24 Australian and New Zealand craft breweries. As well as picking from 150-plus beers and ciders, there will be food, local DJs, roving entertainment, beer games, tastings, beer and food matching, cooking masterclasses, meet the brewer sessions and beer quizzes. The festival organisers are also introducing the BDO Festival Bar with special brews from each brewery in attendance and the BDO tasting paddle. One of the longest running beer festivals in the country takes over Maitland Gaol every year. In 2016, it turns ten and is lining up more than 80 beers, music including Ash Grunwald and food stalls featuring food from around the world. There will also be homebrew masterclasses "plus a few twisted surprises" apparently. Australia’s longest-running beer week has started to come into its own in the past couple of years, inspired by others elsewhere and turning into a nine day feast where the brewers, bars, bottleshops and beer lovers of Western Australia throw their collective weight behind the industry at more than 50 events. if you’re into new beer releases, degustations, open brew days, pop-up dining experiences, behind the scenes tours and more beer than you can dream of, it’s a festival for you. In 2016, it also kicks off with the Fremantle BeerFest (see below). The event that kicks off WA Beer Week in style in 2016, the Freo BeerFest (pictured above) got off to a flier in its first year and has continued to grow. It's a three day festival within a festival, one that features a staggering 350 different beers, ciders and spirits to try. Billed as "Australia’s largest alfresco beer fest", expect a sensory overload by way of gourmet food, live music, comedy, roaming performers, burlesque dancers and brewer masterclasses [the latter two may even be separate acts]. One of the country's pioneering craft beer bottleshops pours everything it's got into the carpark for a day of sun, fun and a lot of good beer. 2016 is the tenth edition of this iconic Newy beer festival which it sees more than 30 local brewers set up stalls and dispense their wares to much merriment from punters. A guaranteed a sell out every year, you'd be well advised to buy tickets early in order to avoid disappointment. One of five festivals run by the BeerFest crew throughout this summer festival season, this was one of their first, evolving from the Tamar Valley Beer Festival. Its two days will feature a mixture of craft brewers and cider producers, local wines, gourmet food, live comedy and entertainment for kids too. IIts sister festival in Hobart will be bringing down the curtain on the fourth Beer Lovers Week too. Beer Lovers Week continues to grow from humble beginnings in 2013 (when The Crafty Pint travelled south to host a blind tasting event). Details of the events taking place around Hobart will be unveiled nearer the time, but there are far more breweries calling the city home than in 2013, the Tasmanian Beer Trail has lent its support in the past and the arrival of the Hobart BeerFest on its closing weekend should give it a healthy boost too. The festival that did as much as any to set the template for the spate of one and two day open air festivals you see across Victoria today. Ballarat's City Oval (pictured above) gets filled with lots of beer, a little cider and wine, some big name bands, seminars and, if previous years are any guide, heaps of sunshine. If you’re travelling from Melbourne, look out for the vintage steam rail package that gets you there and back in grand style. As mentioned above, the first Hobart BeerFest is the new sister event to the Esk BeerFest, taking place a week later on the closing weekend of Beer Lovers Week. It's being held on Salamanca Wharf and we're told to expect "a showcase of award-winning craft beers, ciders and spirits". This page is updated regularly. If your festival isn't listed, please contact events@craftypint.com. If you'd like to chat with us about promoting it to a wider audience, then drop us a line here.